Early morning call times aren’t so bad when my clients are an absolutely joy to spend time with! 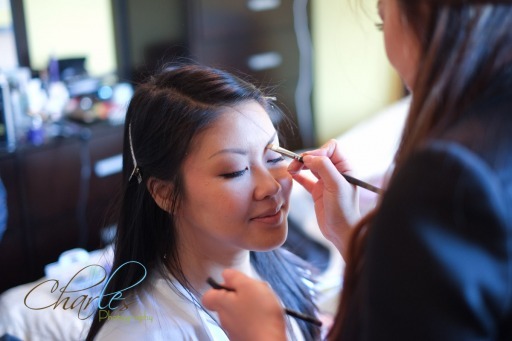 Fitting a traditional Vietnamese head piece onto my bride before I style her hair! So cute in her pink Vietnamese traditional dress, ao dai. My favorite thing about my brides? Their laughter! 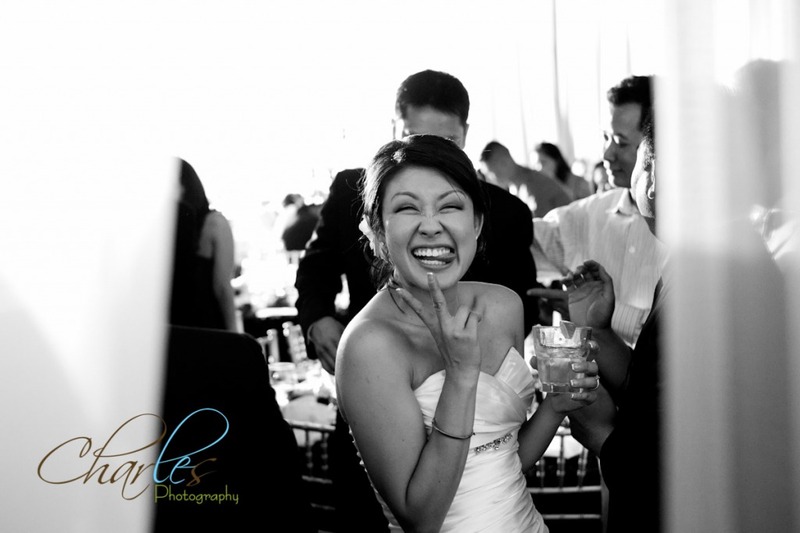 What’s better than a bride and her laugh? 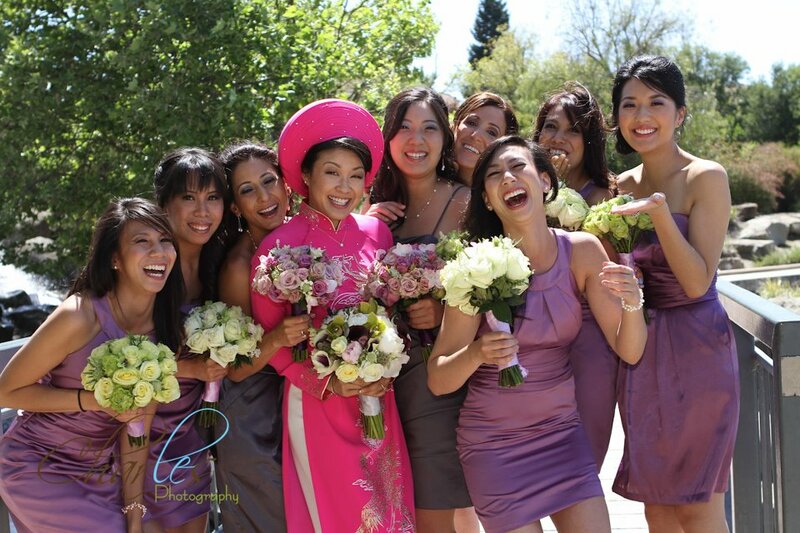 The laughs of her AND her bridal party! For our bride’s reception, we decided to loosen up her hair so she can party! We also added deep purple and glitter to her eye makeup for a fun glamorous night time look! Check out her super cute Flash Mob dance that inspired me to title this post “Dancing Queen” for her awesome dancing skills! Nancy + Mike’s Wedding Highlights from Filmtwist Productions on Vimeo. I leave you with a final and super cute and appropriate picture. Peace out!